A friend also name Darcy introduced me to this song. When D2 was at my house and he bought this song up, I thought the song was silly. However yesterday last night I found myself singing it so I looked it up. I quite like it now and am going to add it to Music. Drop It Like A Tard. Hope thats not offensive it shouldn't be by now. Tard is a well registered word for meaning. 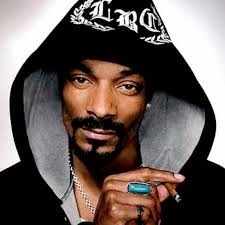 I been singing and now all I hear when Snoop sings is "Drop it like a Tard". LOL. A It's kind of a stretch I know but it somehow sometimes fits. It's like the when you hear lonely "Starbucks Lovers" instead of "long list of ex-lovers" which is the actual lyric in the new Taylor Swift song Blank Space. Many words have hidden Easter Eggs in them like 2 in 1 words. I'm pretty sure words are commands for your body as well. And the more advanced the word the better able your body should be able to follow. We lead out bodies around by our tongues as a small rudder on a ship steers a large boat. I once had the word or command to have like channels streams tracks in my vocals so that I could have a band in the back ground of my spoken words. Like beat box style but enhancing speaking by creating music at the same time. It was a command or word power I had. I experienced it very briefly before it stopped working. I'm sure I Incorporated it into my everyday speech but it never materialized. I did have someone comment that they heard music when I spoke and said it was cool with out me prompting them or even mentioning anything but I hadn't heard it myself the music. Anyway I'm delusional. Muwahaha. The Govts have attacked me and made me this way. Damn aye. Ray guns r them. I shall have an early death because of the attacks of the Govts. They have been making me unwell and experimenting on me in horrible ways. Nobody is on my side. No body believes. Everyone calls me skits. Well. What do you have to say for yourself. Oneday I pray ye shall know the truth. And the truth shall make ye free.